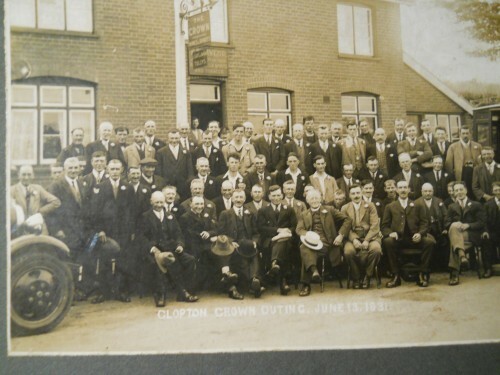 A beautiful photo of a men's outing from the Crown at Clopton in 1931. 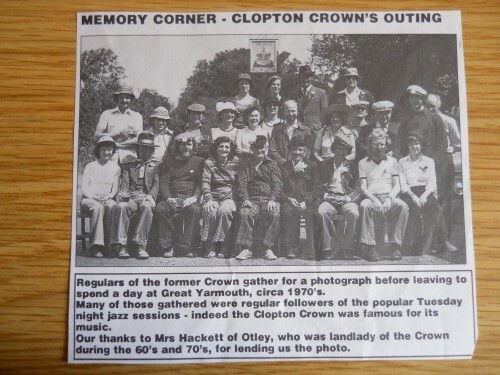 In the centre is the Rector of Clopton, Rev John Page, (we think). Can you identify anyone else in the photo? 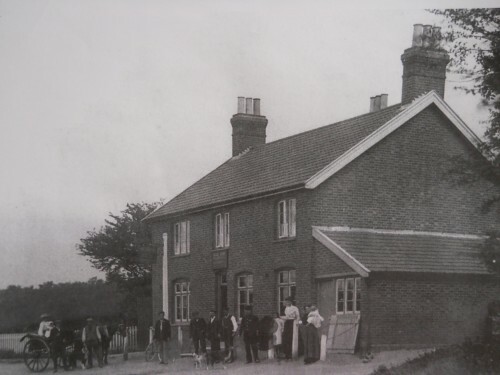 This an early photo taken outside Clopton Crown. Can you date it? Do you know any of the people in this photograph? Please contact us if you are able to name anyone.